A fusee is a conical spindel used to keep the tension of the driving mechanism in verge watches equal. 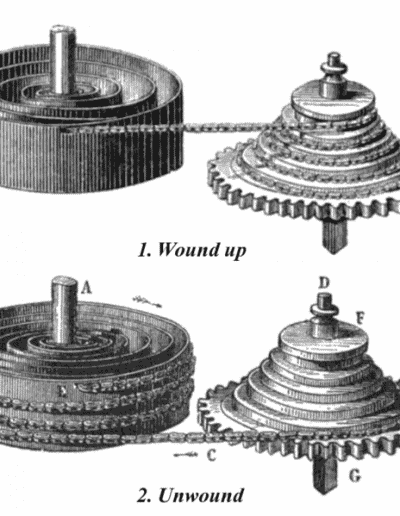 Woodcut of fusee and mainspring, showing operation. 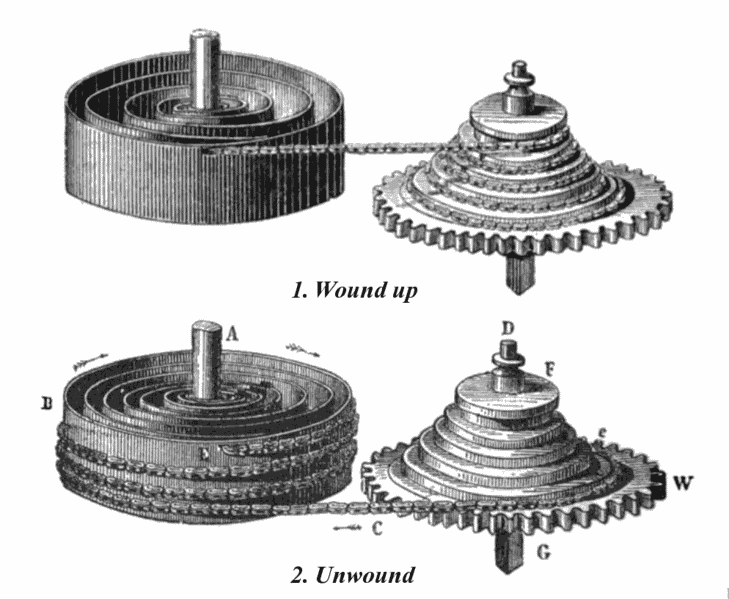 The fusee (cone-shaped pulley) was used in antique clocks and watches to improve accuracy by equalizing the force of the mainspring. The labeled parts are: (A) mainspring arbor, (B) mainspring barrel, (C) chain, (D) fusee axle, (E) attachment of chain to barrel, (e) attachment of chain to fusee, (F) fusee, (G) winding arbor, (W) output gear wheel.